Little Blue River Watershed Coal. Wyandotte Co. Parks & Rec. Kaw Point Park, Kansas City, KS. 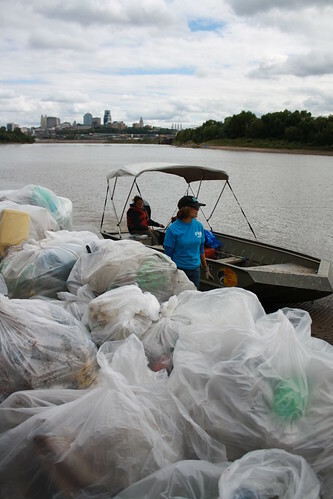 This was our seventh year hosting a massive Missouri River clean-up in the Kansas City area. 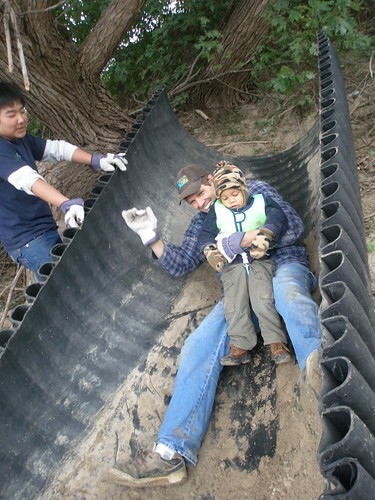 Each year it gets bigger, our list of partners grows, and the amount of trash removed from the river continues to be staggering. This year 394 volunteers joined the effort. And they worked their butts off! 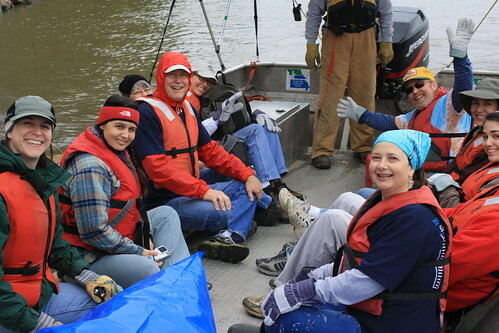 We cleaned up a couple miles of the Kaw River, in addition to ten miles of the Big Muddy. A big crew of students from Scuola Vita Nuova, after attending the Watershed Festival the day before, tacked a site by land on the Kaw River. Many other school groups have caught on that this is THE event of the year to experience the Missouri River as well as do their part to improve the river. Education in action! That's what it's all about! For the first time in the KC area, we attempted a large-scale recycling program, thanks to a partnership with Coca-Cola Enterprises. 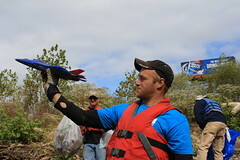 As trash was collected on the river, volunteers "source-separated" into bags with plastic & aluminum and bags with all other trash. 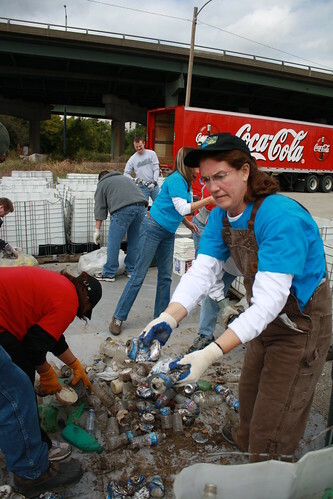 MRR crew member Lynne Hooper organized a crew of Coke employees to further sort all the recyclables. It went smoothly, and we are still awaiting tonnage results. Getting this many people out on the river in one morning is impossible without the help of our boat piloting partners. This year we had help from Mo. Dept. of Conservation, EPA, Burns and McDonnell, and Rivermiles. In fact, this was the clean-up debut of the new Rivermiles boat called "Lewis". Not only did Lewis (piloted by MR340 organizer Scott Mansker) shuttle volunteers, but she also served as the floating video platform for documentary filmmaker Jodi Pfefferkorn who is making a film on the clean-up. We'll let you know when she finishes it! 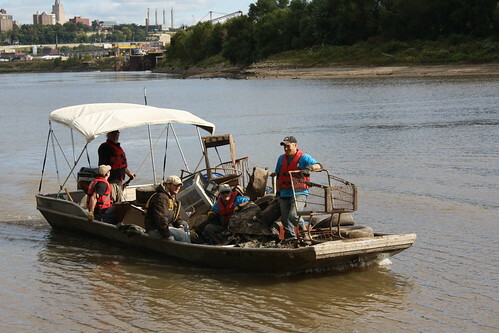 NO HOT WATER HEATERS -- this has got to be A Missouri River Cleanup Record!!! Perhaps our efforts to clean the river are working!! !